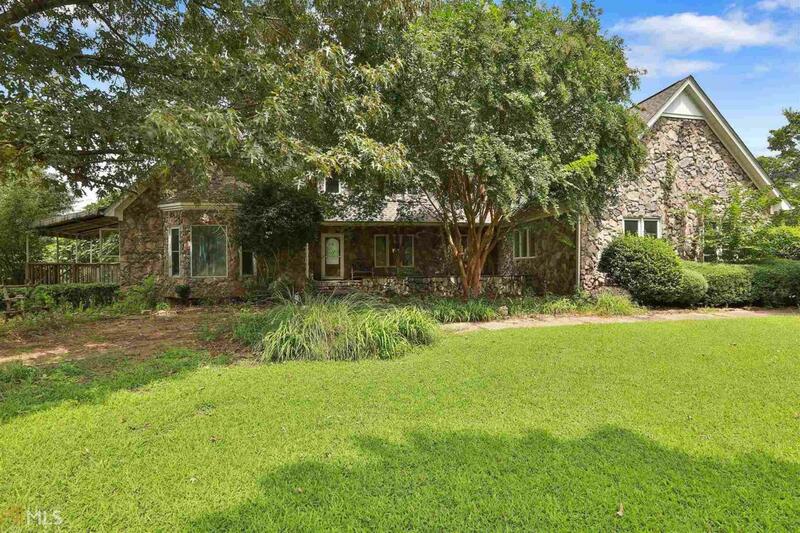 Beautiful setting in Newnan with gorgeous, spacious open floor plan. Home on full basement with in-ground saltwater pool and more! Home has hardwood downstairs with stone in kitchen and laundry. Peaceful full sunroom overlooking private pond. Room to entertain on full-length back deck with view overlooking pond. Basement is unfinished. Large house on property being offered with 5 acres of land; more land available if buyer interested, up to the full property of 114 acres, which includes caretaker cottage, 12-stall horse barn with tack and wash room and shavings bin, pole barn, ponds, fenced pastures, and more.